Establish yourself within the ever-popular Woodlands School Zone with this outstanding family home. Boasting an exceptional open style split level floorplan, this home is a lesson in design. Each area flows seamlessly into one another, without eliminating the feel of separate zones. The master bedroom that resides at the front is privately located & showcases a spacious walk-in wardrobe, full ensuite that has been recently renovated without any expense spared. 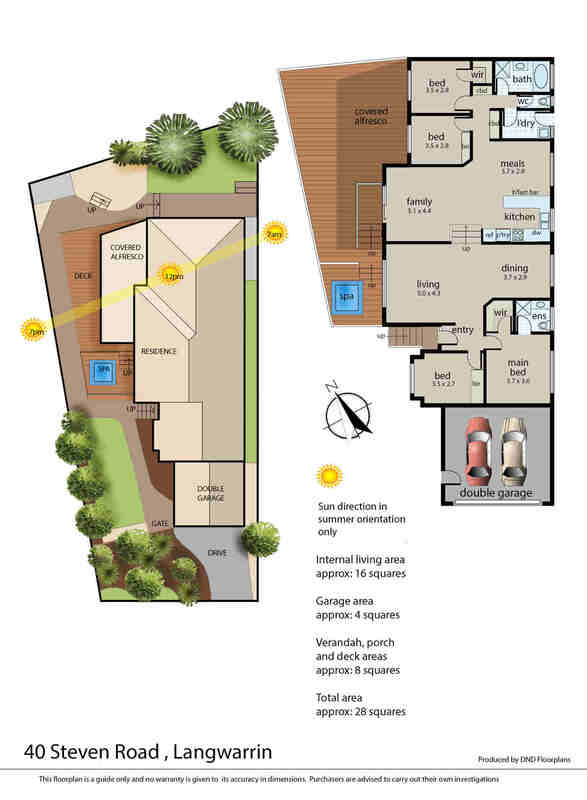 The front living area is spacious in size & also is conveniently situated in the same area as the open formal dining. This area attracts an abundance of light & interconnects with the kitchen & second lounge. Stepping outside to the sheltered decked outdoor entertainment area, you can see endless potential for accommodating your friends & family on those hot summer nights. Stepping down is a wonderful spa area perfect for a relaxing space to unwind. Close to many of Langwarrin’s amenities such as public transport, Western Port Highway, Peninsula Link, Peninsula Private Hospital & Langwarrin Plaza. Sitting comfortably within the Woodlands School zone, prepare to settle down & raise your family in this phenomenal area.